Award-winning Delta-based Four Winds Brewing Company is expanding as part of the new Southlands community in Tsawwassen. A combined restaurant and craft brewery have been proposed by Four Winds for the Southlands site, which will play a critical role in the company’s plans for operational expansion and product extensions. A major factor that influenced Four Winds’ decision to locate at Southland was the ability to have a restaurant and brewing facility right beside a farm, giving Four Winds the opportunity to grow their own local hops, grain and other ingredients for use in specialty beers. The restaurant will also focus on using fresh ingredients sourced directly from the farm and local to the region. 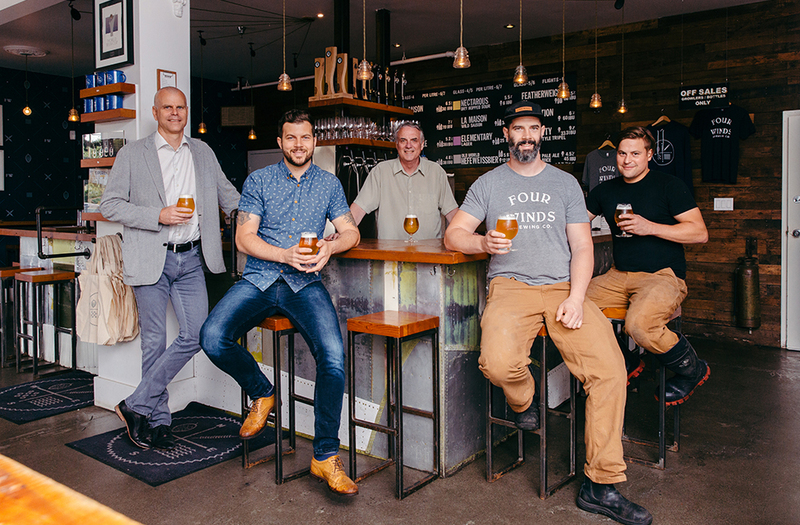 "Growing up in Tsawwassen, I could have never imagined the kind of community that Century Group has planned for Southlands,” said Adam Mills, Sales & Marketing Director and Co-founder of Four Winds Brewing Company. “The fact that over 300 acres of the land is being prepped for prime agricultural use has us very inspired with regards to access to hyper local ingredients as we plan the prospect of our future beer and culinary destination." The Southlands site already has zoning in place for a brewpub. Century Group and Four Winds are requesting that the City of Delta make some minor modifications to the current Southlands zoning to accommodate the unique needs of Four Winds business operations and their future growth plans. Century Group President Sean Hodgins said he shares the excitement about Four Winds coming to Tsawwassen and about the opportunity to anchor the Southlands Market District with Four Winds new restaurant and craft brewing facility. Four Winds is the first formal business partner to be announced for the Southlands Market District, which will be the social hub and centre of food commerce for the new community under development. The Market District will also be home to a Southlands Discovery Centre, the Red Barn, and various retail and services. Four Winds Brewing Company has become a local Delta success story since first opening the doors to their craft brewery in June 2013. Owned, operated and built from the ground up by the Mills family (brothers Brent and Adam along with their father Greg are all co-founders), the company’s beer offerings have received numerous accolades including being named Canadian Brewery of the Year in 2015 and Beer of the Year (Nectarous Dry Hopped Sour) in 2016 at the Canadian Brewery Awards. This year, Four Winds won a silver medal at the 2018 World Beer Cup and won silver and three bronze medals at the 2018 Canadian Brewery Awards.